If you do not have the space to go for a full-out walk-in closet in your homes, then this idea is going to blow you away! Instead of a typical wardrobe, you can go for an open corner closet where you can hang all your clothes in a systematic, orderly fashion as if in a walk-in closet. The trick is to design a customized one with lots of extra embellishment and compartments where you can showcase your shoes, bags and jewellery. This conjoined bedroom-closet hybrid will be the epitome of luxurious even in a small space. Vanities always have a way of defining your bathroom aesthetic, so even if it is small you can spruce it up with the right vanity finishes. You can go for stone countertops and plush laminates on the cabinets to emulate a lush appeal. 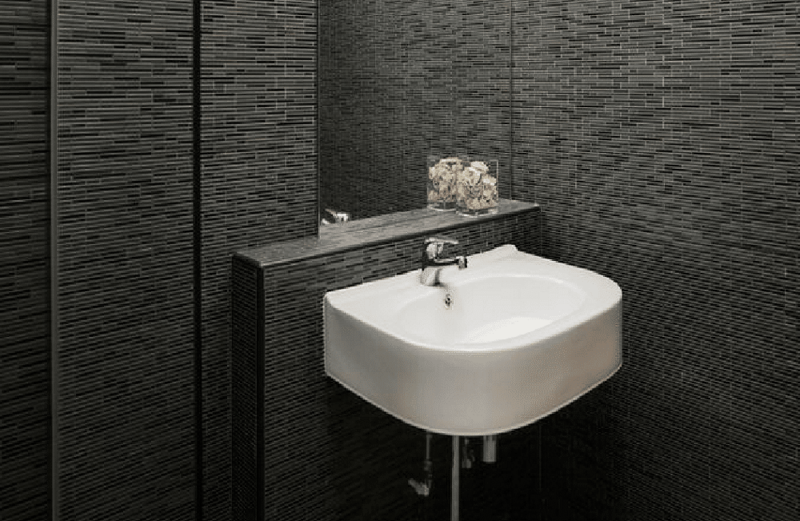 You can even match them with the background tile scheme to create a homogenous effect. Cluttering and overdesigning small spaces is the biggest cause of cramping in Singapore. 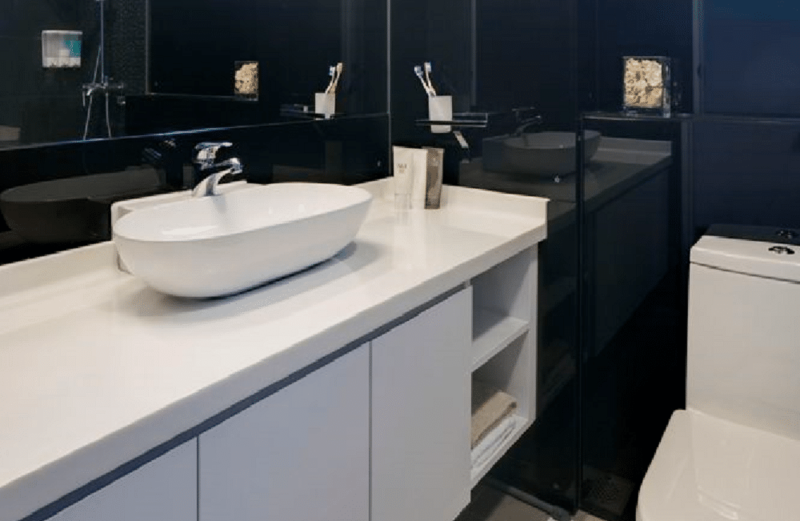 One of the best ways you can a small bath look like a luxury spa is by being minimal with your fixtures and layout. On the other hand, you can choose tiles that are highly attractive and even dark in colors so they can make the space seem filled in. 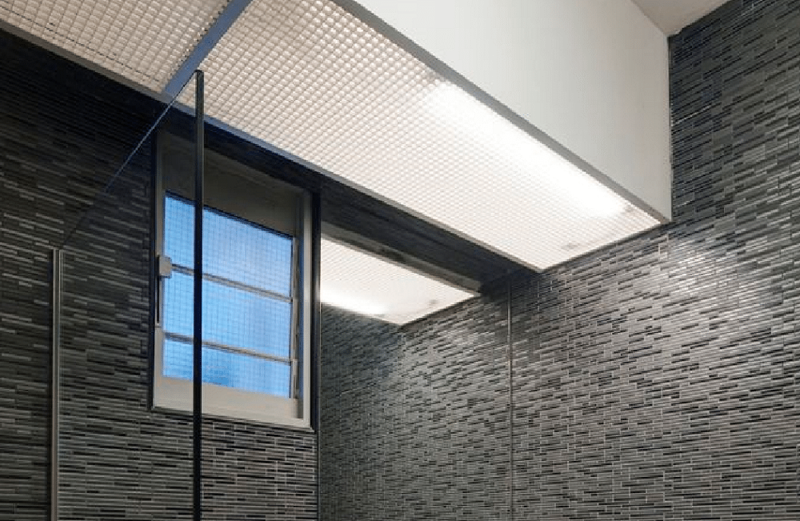 One of the best kept secrets to making a small home seem like a high-end penthouse suite is going for good lighting. Side from trendy fixtures, the amount of illumination can also determine the overall ambiance of your home. A dimly lit space can look shabby compared to one with beautiful lighting. There is no doubt in the world that sleek material surfaces have a way of emulating a modernist look in your homes. However, there always has t be a bit of homely in the mix to make it seem truly, comfortably high-end. 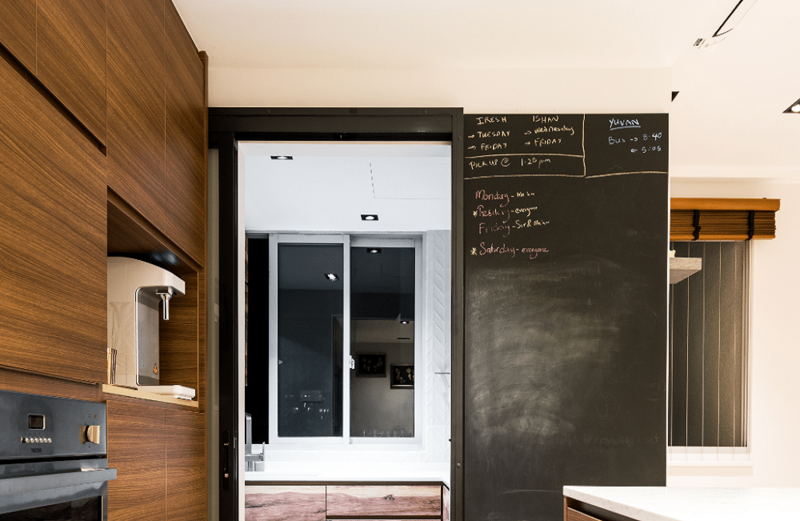 The sleek wooden laminates and the chalk-painted wall in this image are good examples.